Is a 4th DUI in Alabama a Felony? When Is a DUI a Felony in Alabama? Under Alabama DUI laws, the rules controlling whether a DUI is a felony or misdemeanor are complex. See Driving under the influence of alcohol or drugs. As is true for a DUI felony in all states, the Alabama Legislature controls the laws for determining which impaired driving crimes are felony vs misdemeanor. In most states, for certain repeat DUI offenses over a fixed period or time, driving while intoxicated becomes a felony DUI-DWI on your criminal record. Under Alabama DUI laws, the DUI first offense (not involving a DUI accident resulting in serious injury or death) is always going to be categorized as a misdemeanor. This rule for a 1st DUI offense being charged as a misdemeanor is true in most other states, unless another person has died in a DWI/DUI-related accident or been seriously injured by your vehicle that is attributable to your DUI. Some states have other state DUI-DWI laws targeting child endangerment, but not Alabama. So, an Alabama DUI first offense conviction in a person’s lifetime is a misdemeanor, under Alabama DUI laws. 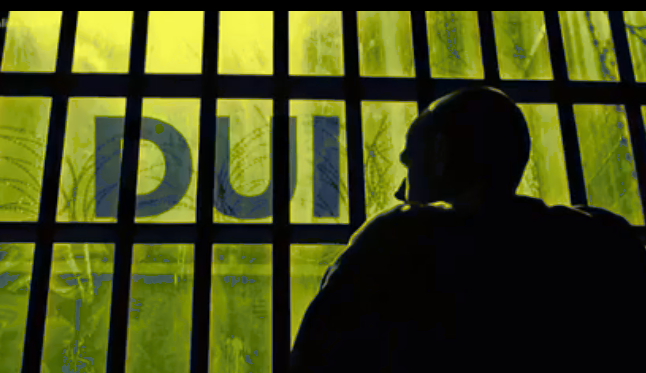 What causes a felony DUI in Alabama? One reason is a fourth DUI within a 5-year time span, determined by DATES of arrest. Other than an Alabama DUI resulting in death or serious bodily caused by DUI, nothing but a 4th DUI within 5 years based on dates of arrest makes a DUI Alabama arrest a felony. Plus, in certain depraved circumstances when a driver’s egregious and highly dangerous (to the point of reaching intentional acts) murder charges could be preferred against a motorist. What Are the DUI Penalties for a DUI Felony Death Case? In a felony DUI death case, good common sense tells you that Alabama laws will sanction such conduct severely. Up to five years in State prison will be sentenced, for these Alabama felonies. 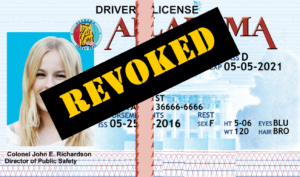 License revocation for 5 years, but a special Alabama DPS provision permits the convicted person going for 1 full year, and then installing an ignition interlock device for 5 full years. Up to $10,100 in fines. 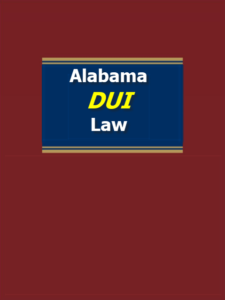 For more details see Alabama DUI penalties. 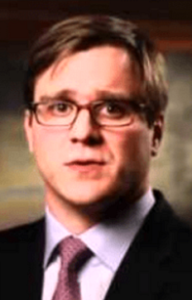 How Do Other States Classify Felony Drunk Driving (DWI/DUI) Cases? All states except New Jersey have DUI-DWI felony classification for drivers with a certain number of prior DWI-DUI convictions. Virginia makes a 3rd DUI a felony. South Carolina, Georgia and Alabama make the 4th DUI a felony. Some states (Indiana) make a second DUI a felony if an extremely high blood alcohol content (BAC level) is part of the State’s evidence in the 2nd DUI. Absent aggravating factors such as a motor vehicle accident resulting in serious bodily injury or death, a first offense DUI in Alabama is going to be a characterized as an Alabama misdemeanor. But a DUI offender who kills or seriously injures another person is typically looking at felony charges – even if it’s the person’s first DUI offense in Alabama. The Polson Law Firm is dedicated to obtaining, at the highest level, DUI attorney training on police tactics, standardized field sobriety tests promulgated by NHTSA, the so-called Romberg test, and alcohol breath test machine training. This dedication to learning the same things that police in Alabama receive training upon has enabled the Polson Law Firm to stand head and shoulders above other Alabama attorneys who talk a big game but cannot deliver. Whitney Polson, Alabama DUI attorney from the Polson Law Firm, can come to your location, if necessary, after a serious auto accident. Our Birmingham DUI lawyers fight Alabama DUI charges across the entire State of Alabama, as well as handling other misdemeanor or felony criminal offenses. 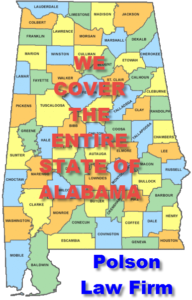 Plus, our lawyers in Alabama offer a FREE consultation. If you were arrested for an Alabama DUI, CALL US now at our Birmingham DUI lawyer office. 205-871-8838. You can also call our Birmingham DUI attorney office toll free at 1-844-7POLSON [1-844-776-5766].